New biomes, creatures, buildings, and mod support coming at launch. Don’t Starve developer Klei Entertainment may not have any information on Griftlands, but its latest survival title, Oxygen Not Included, will be getting a full release after two years in beta. Currently in Steam Early Access, the title will receive its 1.0 update in late May. This will add new creatures and buildings, along with three new biomes and mod support. 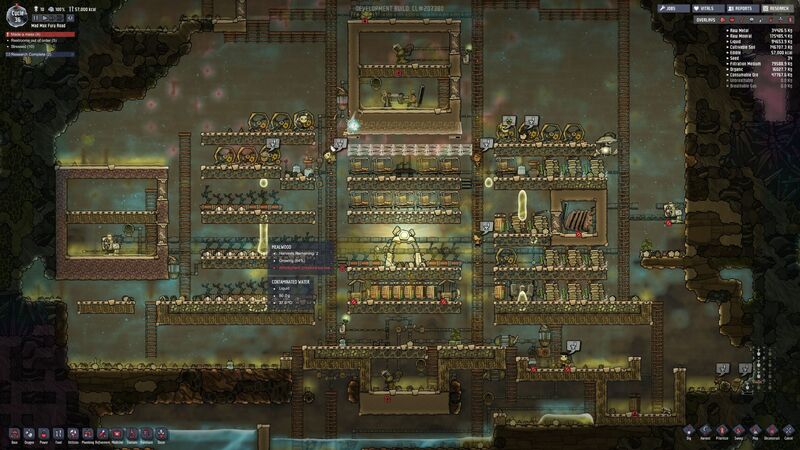 Oxygen Not Included tasks players with creating a thriving space colony, from building living quarters for its Duplicants, to harvesting resources. As you extract more resources, you’ll need to keep expanding to keep the supply of oxygen going. Tasks like keeping Duplicants happy, managing environmental temperatures, exploring different power resources, and recycling wastes will also be important for survival. Of course, thanks to procedural generation, there are numerous possible worlds to explore.